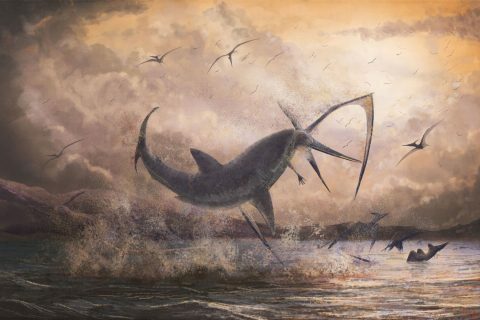 USC researchers, studying bones at the L.A. County Natural History Museum, find evidence of a fearsome shark taking to the sky to take down a pterosaur, a formidable flying reptile. 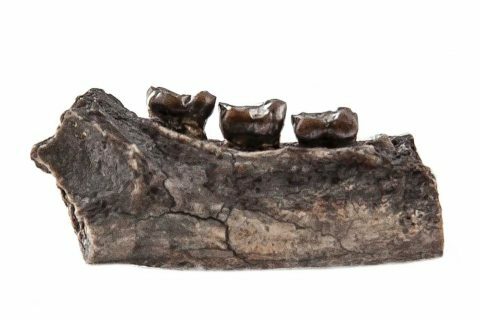 The ancient find, unearthed in Utah, bridges the transition from reptiles to the beginning of mammals and changes our view of continental drift, too. 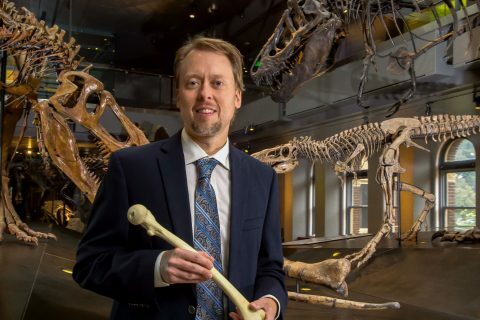 An anatomical sciences expert looks back at the arm and leg bones of ancestors to gain insight on how they interacted with their environment. 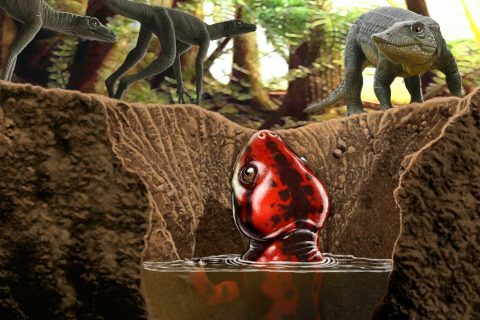 The discovery fills a significant gap in the evolutionary history of frogs, toads and other amphibians. 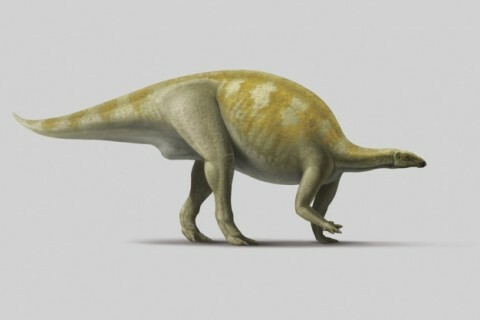 The species of primate from India is distantly related to the lemurs of Madagascar. 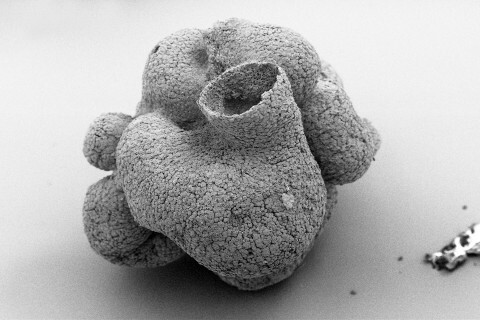 The sea urchin fossil found by a USC team had been buried in a rock formation that dates back nearly 270 million years. 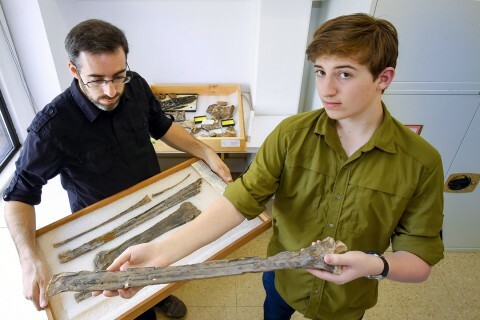 Unlikely duo builds a there-dimensional model of an 85 million-year-old Pteranodon wing whose span can be six meters wide. 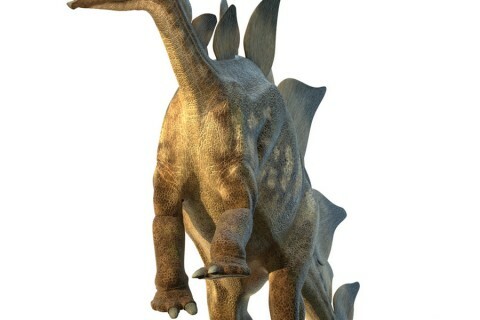 The finding questions accuracy of long-standing evolutionary theory, paleontologists say. 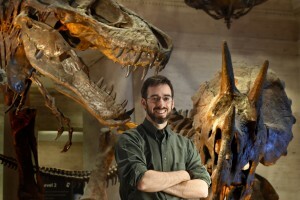 From field to campus and back again: Popular Science names the peripatetic professor one of this year’s Brilliant Ten. 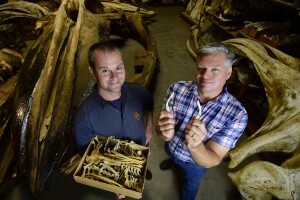 New study turns a long-accepted evolutionary assumption on its head, finding that whale pelvic bones play a key role in mating. 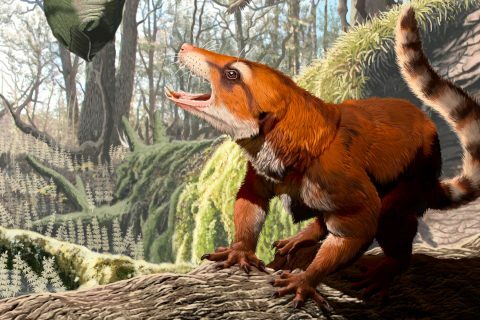 Paleontologists believe the extinct Tibetan fox used its cold surroundings as a training ground for the Ice Age. 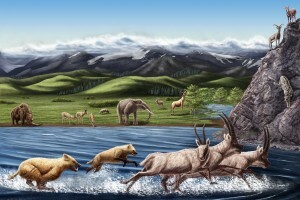 Scientist studies how early animals evolved on Earth and how the planet’s ecology changed. 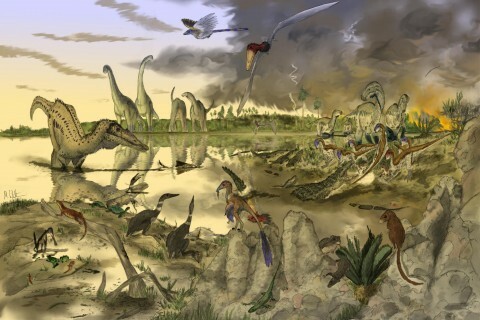 New findings add a layer of understanding to the evolution of birds from dinosaurs, thanks to a study by USC and the Natural History Museum of Los Angeles County. 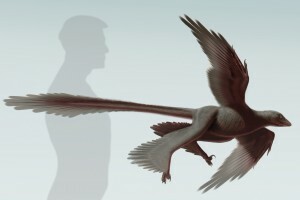 The mystery of how dinosaurs first began to fly may have finally been cracked by a USC-led team of scientists whose groundbreaking study has been honored by the Society of Vertebrate Paleontology.